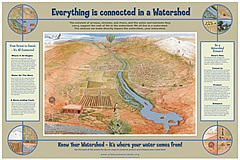 You are here: Home / Library / KYW Poster Files and Links / Know Your Watershed – It’s Where Your Water Comes From! Know Your Watershed – It’s Where Your Water Comes From! 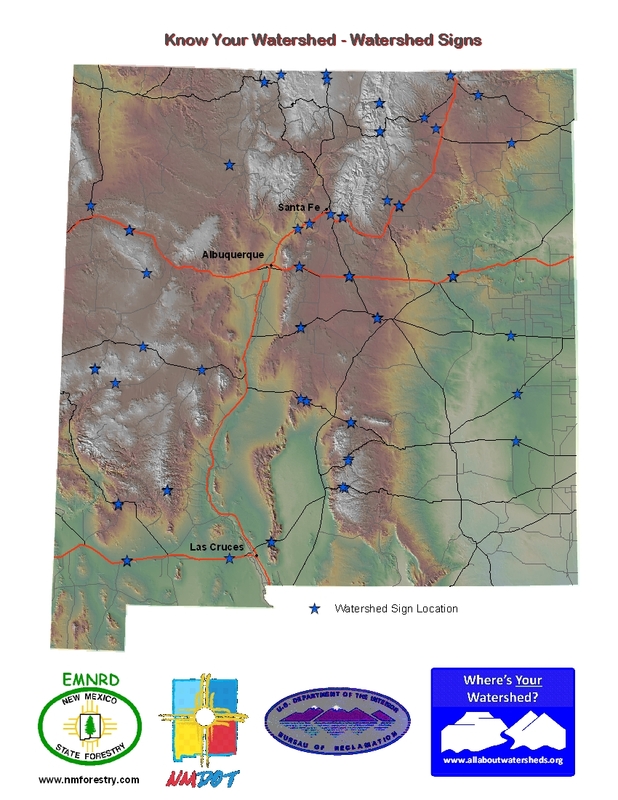 Learn more about southwestern watersheds. 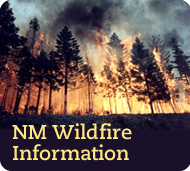 To request a copy of the poster contact Susan Rich at New Mexico State Forestry. Watersheds are the source of all the water we use. Water enters the watershed as rain or snowmelt in the highlands. It soaks into the ground to replenish aquifers and gathers in ponds and creeks that feed larger streams and rivers. A healthy watershed acts like a sponge, absorbing, storing, and slowly releasing water. We all live in a watershed. Where is YOUR watershed? When it rains or snows at your home, that water eventually drains down to an arroyo, river, lake or other water body. All of the land that drains to that particular body of water is your watershed. The boundaries of your watershed are the drainage divides – the high places that separate the waters that drain into your watershed from those that drain to different watersheds. 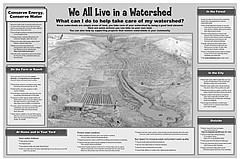 What can I do to help take care of my watershed? Since watersheds are simply areas of land, you take care of your watershed by being a good land steward. There are many ways you can help.